Flower Power as the theme this month – talk about say no more! 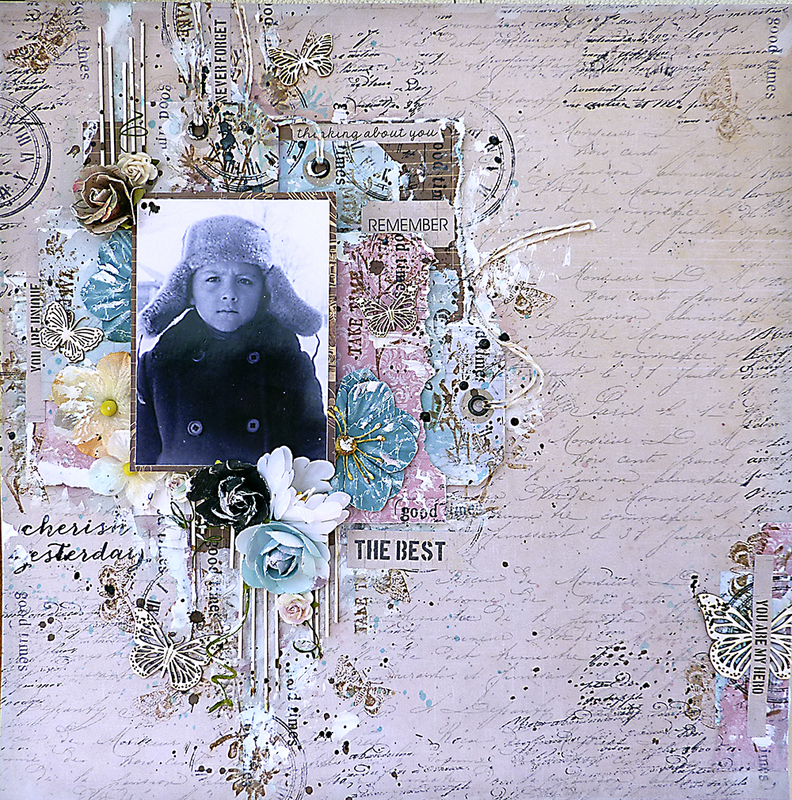 Off to my Hero Arts digital stash to find the Hero Arts Pretty Blossoms PT002 Digital Download. I coloured them within photoshop and then printed them out on my inkjet printer on photo paper and then fussy cut them. I started with a white piece of card and clear gessoed it so it could withstand what was coming. Using a Kaisercraft flower stencil I used white embossing paste and stencilled that over part of the background, then I mixed some purple into white embossing paste and used a Prima stencil to create some more texture and patterns. Once dry, I grabbed the “Oom Pah Pah Pink” from Lindy’s Magicals – this is my most favourite one as it is such a gorgeous pink and then a lovely gold through it, it shimmers the nicest out of all of them. I then dug through my paper stash to find some that would suit the purple and pink theme and created my photo matte. I wanted a little bit more purple, but not too much and so I stencilled some gold onto the purple to break it down a little. Time to dig through the flower and ephemera stashes to find appropriate pieces. I was struck by the friends messages and decided to go with that. I got busy sticking things down and getting the surrounds built up using the Hero Arts Pretty Blossoms mixed in with all of my other choices. Setting up my new craft area has allowed me to rediscover a few different pieces that I have in my stash. Once the layout was almost finished I got out the Sizzix machine to cut out some leaves and glued them in and added in some Altair Art butterflies. A little bit of bling as the final touch and it is all done. I love it, it looks pretty darn good and I am pretty sure it fills all parameters of the ‘Flower Power’ theme. I hope you have fun creating your layout to go with this theme. Take care all, see you next month. Categories: Digital, Scrapbook Layouts | Tags: Delia, Flowers, Layout, scrapbook | Permalink. I love sunflowers, there is just something wonderfully happy about them. Where I live, they grow randomly beside the road and each stalk has many sunflowers, not just one per plant. I often stop and pick them when I am driving home as they are just so gorgeous. So, when I saw that the theme this month is about love, I know, most would go red with the roses, but I am more of a sunflower kind of gal. So, I grabbed yet another digital download, I know, call me Digital Download Delia! Ha! This is the Hero Arts Digital Download Bright Blossoms PT003. I was going to do the usual and colour them in by hand, but I changed and coloured them quickly in photoshop and then duplicated it up at different sizes and printed them out on photo paper and cut them out. I wanted this design to be all about the sunflowers and it surely is. So bright and so happy. The circular frames are from Dusty Attic and I just painted them Nuvo Arts Blue Wax mousse paint and embellished them with a few little sparkles. The little scrabble squares spelling out LOVE are just so darn cute. I may add more to this page at a later date, but if I don’t press publish, I may be very late! Here is a wee pic of the layout, not much bling or things as I really let the flowers dominate the page. Well, I sincerely hope your lives are much less chaotic than mine currently. I am constantly amazed at how much busier my life is living on a farm. I am not even sure if busy is the right word, but there certainly never seems to be enough hours in the day – most especially when a number of those hours must be spent having a nap some days. Stay well and happy people, may your lives be full of love – with roses, sunflowers or awesome cuddles – or all three. Categories: Coloring, Digital, Embossing, Flowers, Hero Arts, Mixed Media, Scrapbook Layouts | Tags: bright blossoms, digital download, Hero Arts, Layout, page, Scrapbooking, sunflower, sunflowers | Permalink. 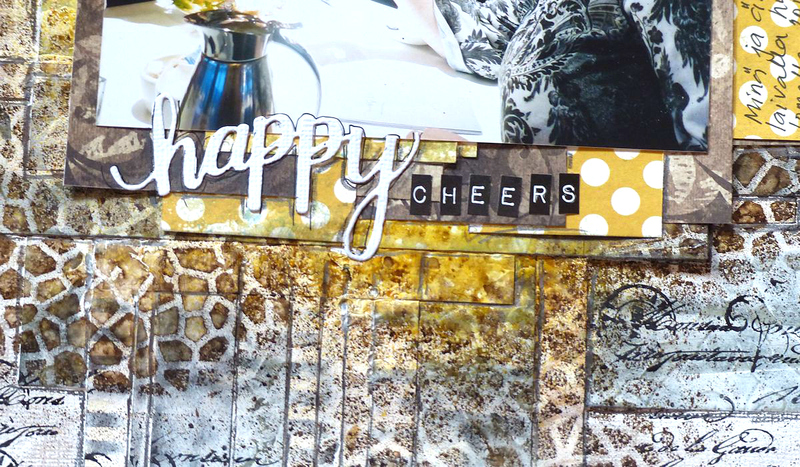 Today, I am here to share a new scrapbook page that I created using a variety of Stenciled and Sprayed Strips of Patterned Papers. Check it out! I cut many different size strips from a variety of patterned papers. 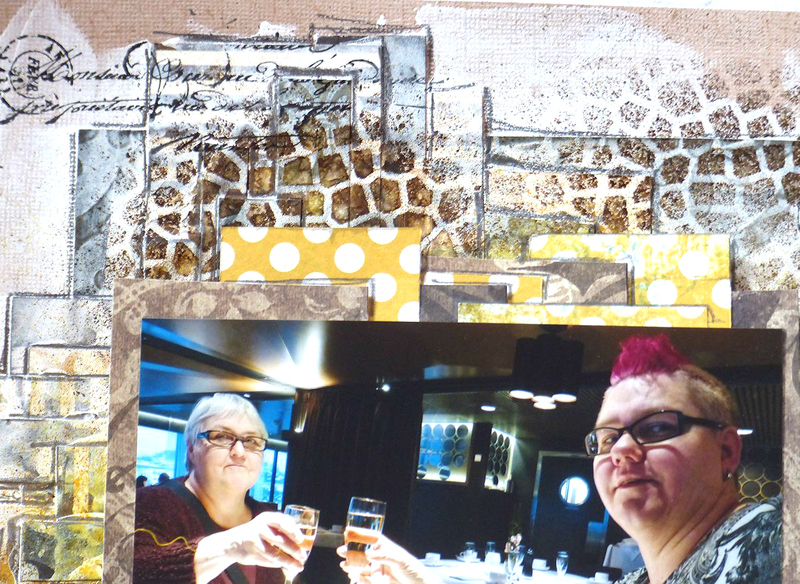 Then, I glued them across on background and covered each of the strips with Gesso and took using a Stencil and Ink Spray. I was able to add all this fun texture and color to the background using this technique. I also stamped and drew lines near the outlines of the strips on my background. Hope you have enjoyed the page, I had a great time creating it for you! Most of the supplies I used can be found at the a2z Scrapbooking Store. If you would like to purchase any of the supplies I shared, please head on over to the store and use the coupon code TARU15, which will save you 15% off any purchase of $25 and up excluding shipping. I hope my layout will provide you with some inspiration to participate in our MAY challenge — ANYTHING GOES (Hero Arts Products Required! This challenge runs though the end the month. 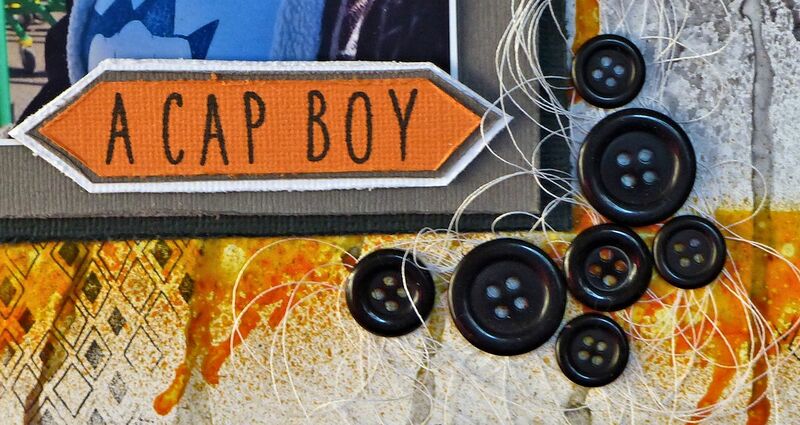 You have a chance to win a $25.00 gift card to the a2z Scrapbooking Store. Good Luck to all! Categories: Scrapbook Layouts | Tags: die cuts, Hero Arts, Layout, Scrapbooking, stamping, stamps, stencil | Permalink. 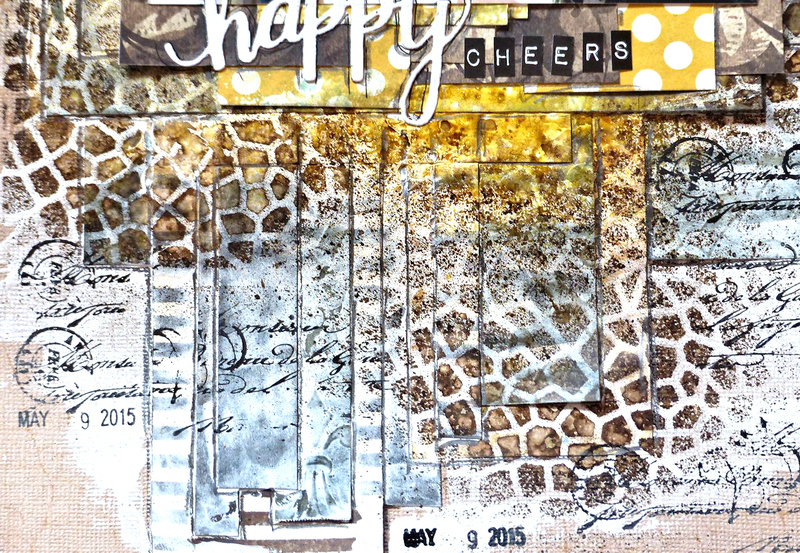 Today I created a scrapbook page with stamps and stencils. I really love the photo that I’m sharing in my Layout. 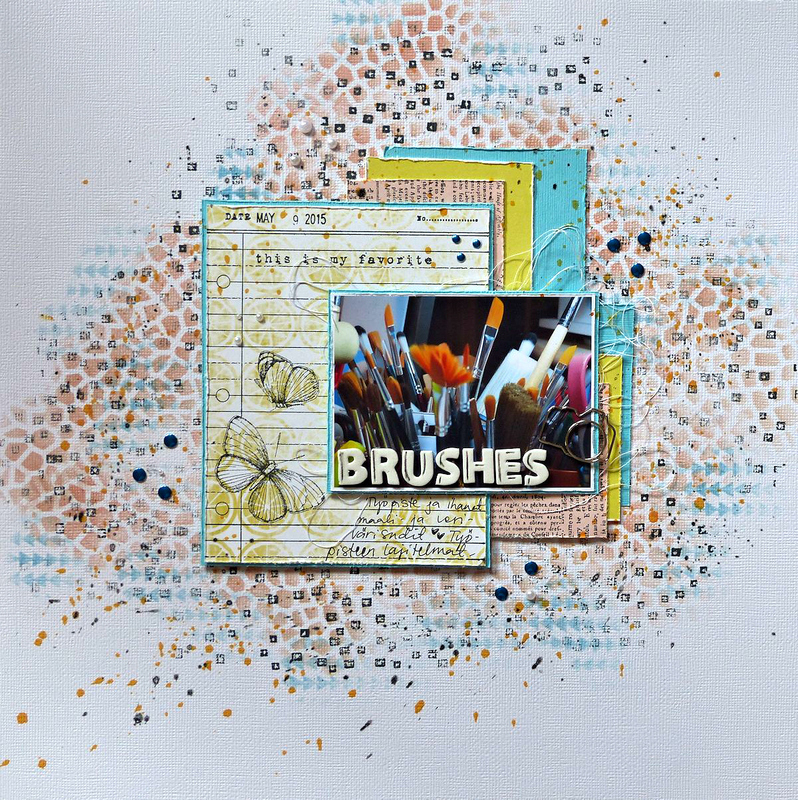 It has a lot of details and shows you some of my favorite “brushes”, as well as some of my favorite Hero Stamped backgrounds! I added more to the design with patterned paper and stamps. I also used stencils with my Hero Arts Shadow Inks. The colors are Pool and Soft Cantaloupe, which were added with Blending Tools. 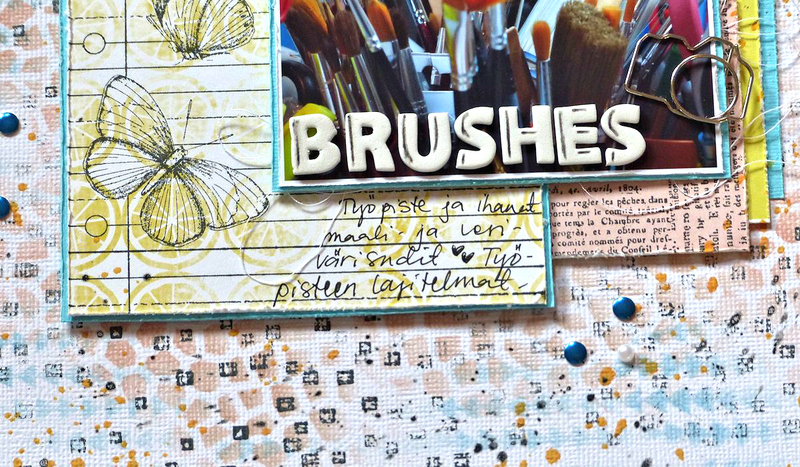 Many of the supplies I used can be found at the a2z Scrapbooking Store. If you would like to purchase any of the supplies I used please head on over to the store and use the coupon code TARU15, which will save you 15% off any purchase of $25 and up (excluding shipping). Please enter the PROMO Code during the checkout process and ENJOY your savings. I hope my layout will provide you with some inspiration to participate in our MAY challenge — ANY THING GOES (Hero Arts Products Required! This challenge runs though the end the month. 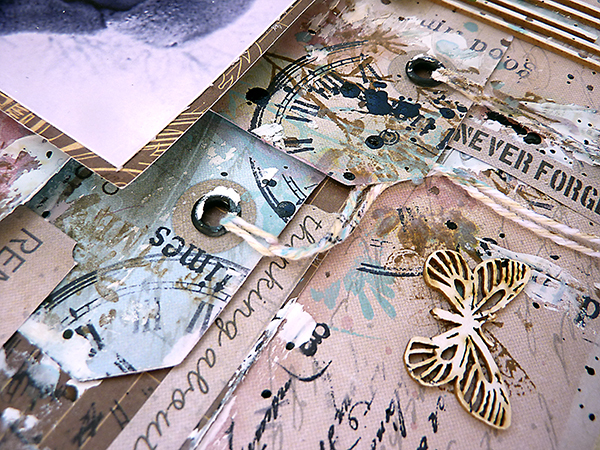 You have a chance to win a $25.00 gift card to the a2z Scrapbooking Store. Good Luck to all! Categories: Scrapbook Layouts, Stencil | Tags: background, Brushes, Hero Arts, Ink Sprays, Layout, scrapbook layout, Scrapbooking, stamping, stamps, stencil, stencils, taru | Permalink. Today I want to share with you my new projects. For my first project I used Hero Arts Cling Stamps 19TH CENTURY FRENCH SCRIPT Rubber Unmounted AC015, Hero Arts Cherish Yesterday AC032 Cling Stamps , Hero Arts Time AC029 Cling Stamps. Here’s my father’s foto. 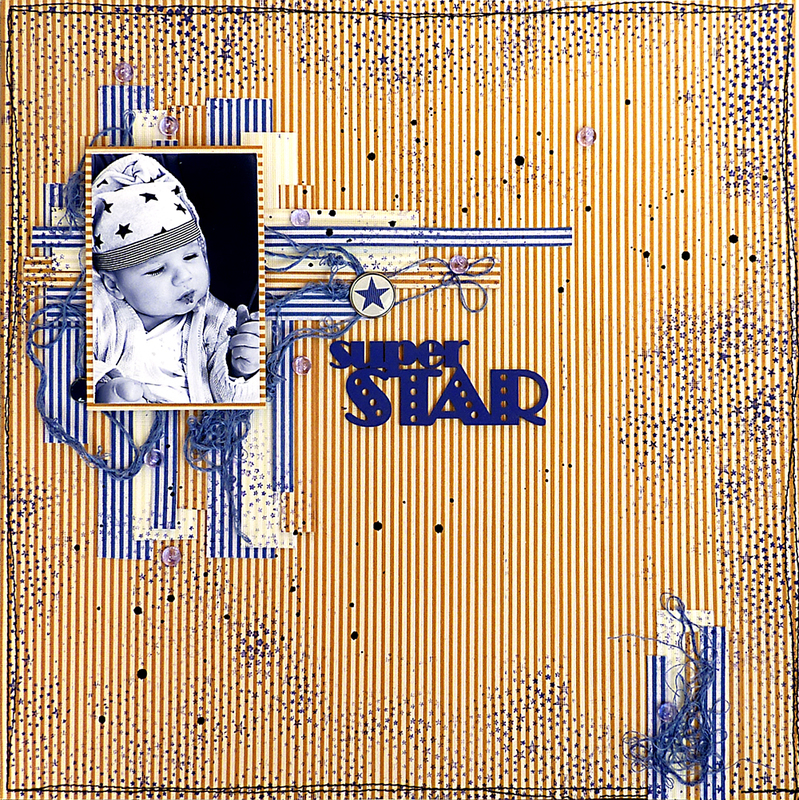 For my second layout I used Hero Arts Basic Grey Tiny Star Background CG616 Cling Stamp. I played with my son’s foto. Finally I want to show you my new small “Thank you” card. I used Hero Arts Cherish Yesterday AC032 Cling Stamps, black and red paint. You can use Coupon Code ELENA15 for 15% off your order of $25.00 or more (before tax and shipping) in the a2z Store. 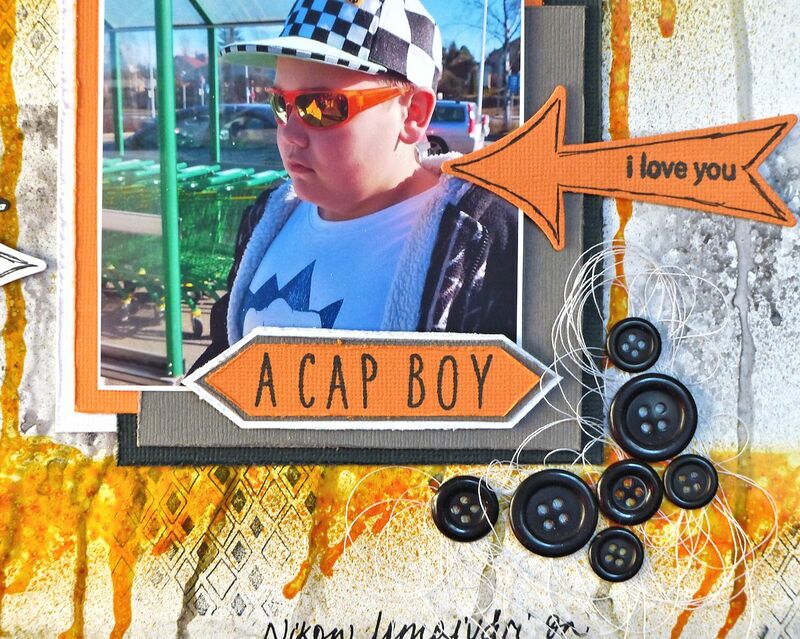 Categories: Handmade Cards | Tags: card, Layout, Mixed Media, stamping | Permalink. Hello again! Today I’m playing with dies and spray mists! 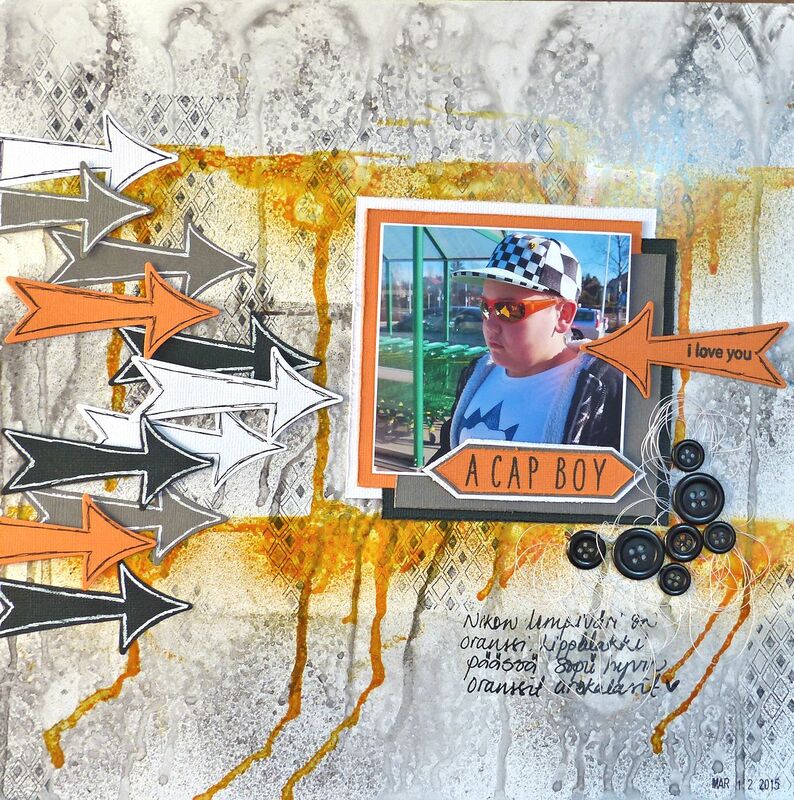 Would you like to take a look at what I have created, it’s a fun and colorful scrapbook page. I started this page by stamping on white cardstock, and began to add all the color with Hero’s Spray Mists and a little water. Misting on the water allowed the colors to mix and run, for the very cool effect. I allowed each color to dry before I moved on to the next color. I did this a total of five times, three using Silver Spray and the other two using the Butter Bar spray. 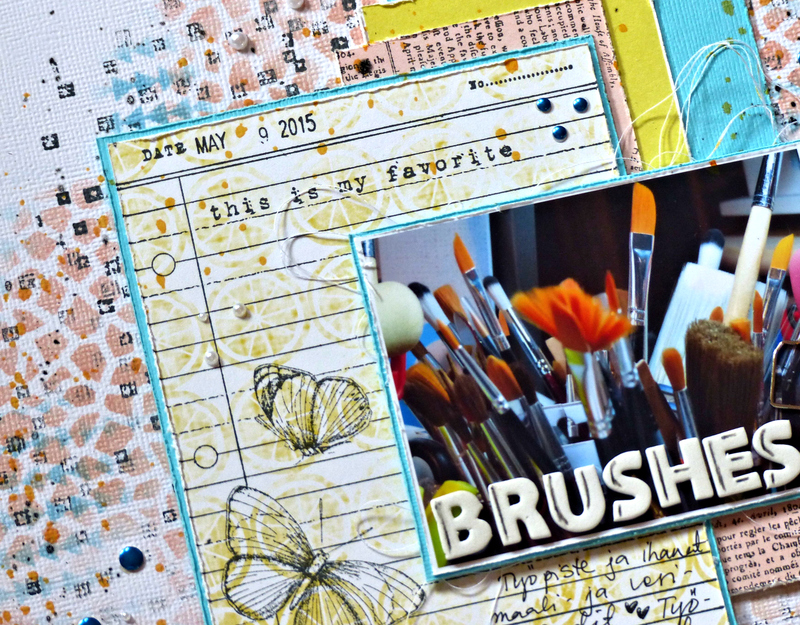 I created a variety of layers with using a different cardstock colors. My photo features my younger son Niko. He loves orange and I was sure to use a lot of that color. ! 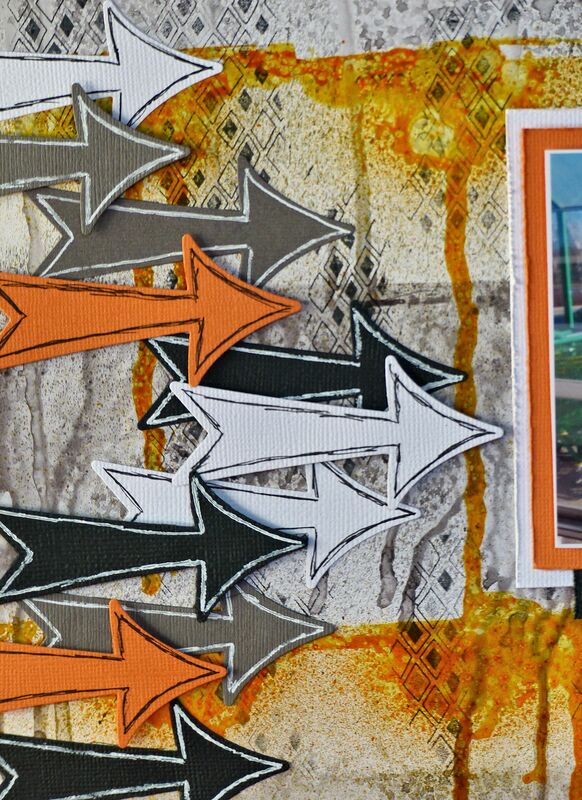 I die cut several arrows – in orange, white, black and gray! I find it really fun to draw something on my pages, and today I added the lines on arrows. To complete my layout I added lots of buttons and thread! How do you use your wonderful spray mists? I hope this technique will show you some more creative ways to use them on your projects. Most of the supplies I used can be found at the a2z Scrapbooking Store. If you would like to purchase any of the supplies I used please head on over to the store and use the coupon code TARU15 which will save you 15% off any purchase of $25 and up excluding shipping. I hope my page will provide you with some inspiration to participate in our March challenge: Color it! It runs to the end of the month. 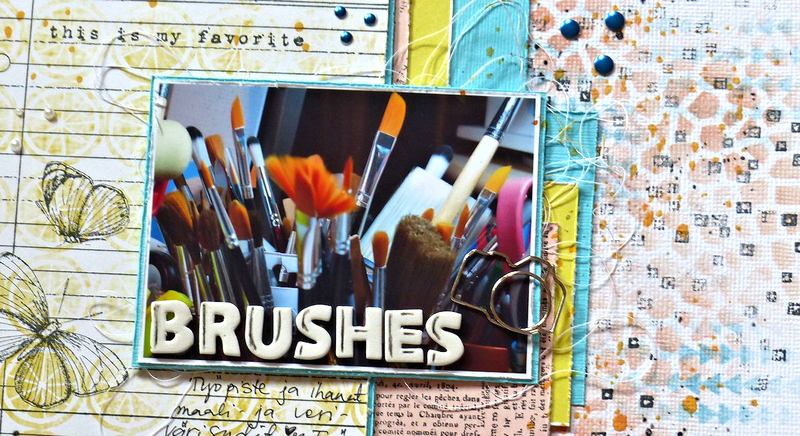 You have a chance to win a $25.00 gift card to the a2z Scrapbooking Store. Hope to see you there! Did you know that we are on Twitter, Instagram and Facebook? If you haven’t done so already, please follow us on these different social media outlets!! You don’t want to miss out on any fun promotions!! Be sure to check out the store! We have the Catalog 2015 release in the store, including the new Clearly Kelly line. Categories: Handmade Cards | Tags: Arrows, Challenges, Hero Arts Sprays, Layout | Permalink. Hello everyone, Taru here with another project for our January Challenge! I have a treat for you today. I created a set of fun spare head a few months ago. 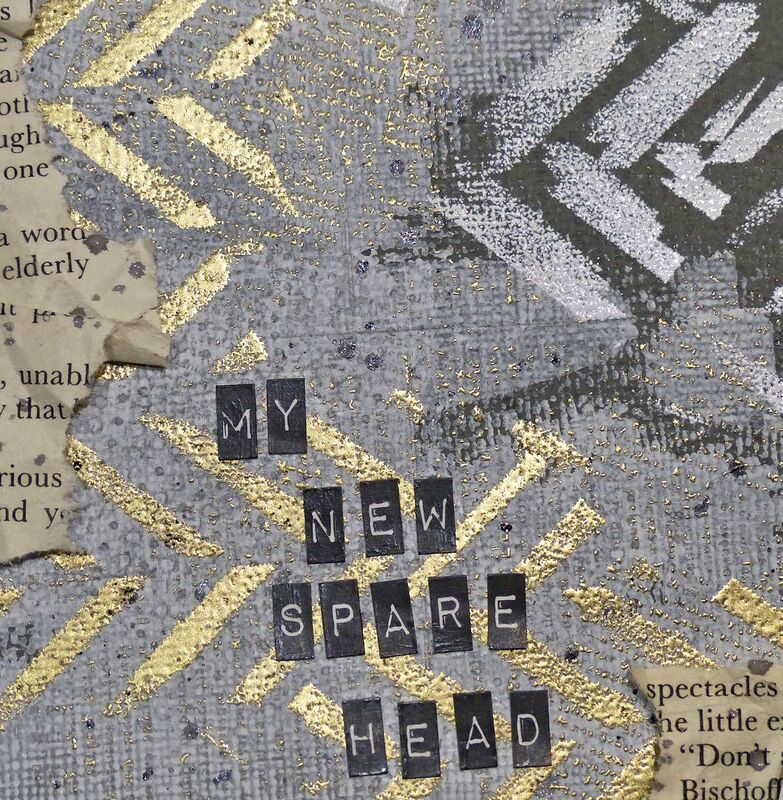 I wasn’t sure what I was going to do with them, then the thought occurred to me that I could create a scrapbooking page with my spare heads. 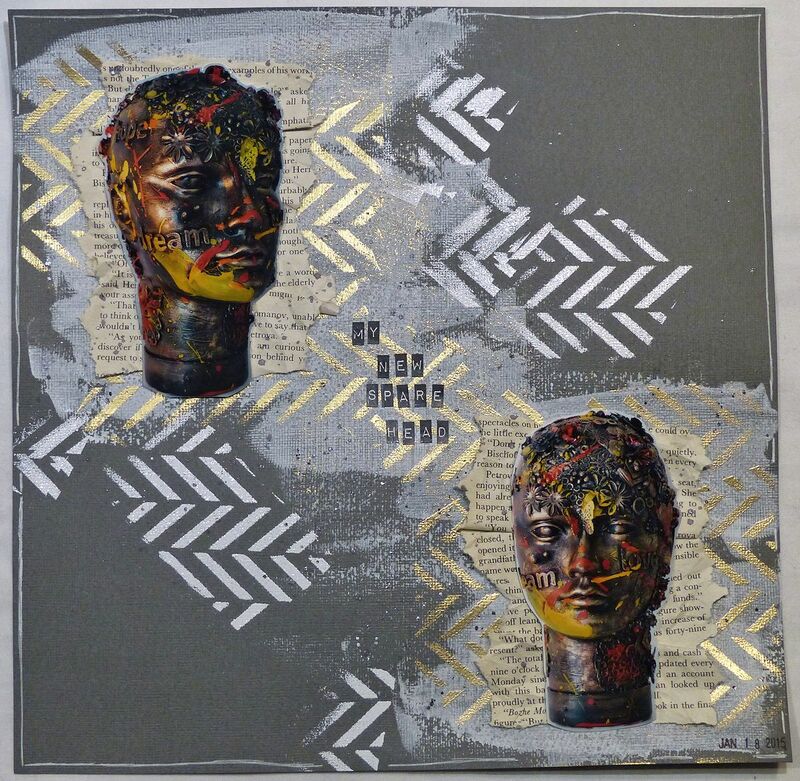 I used a dark gray craft cardstock and layered it with gesso. 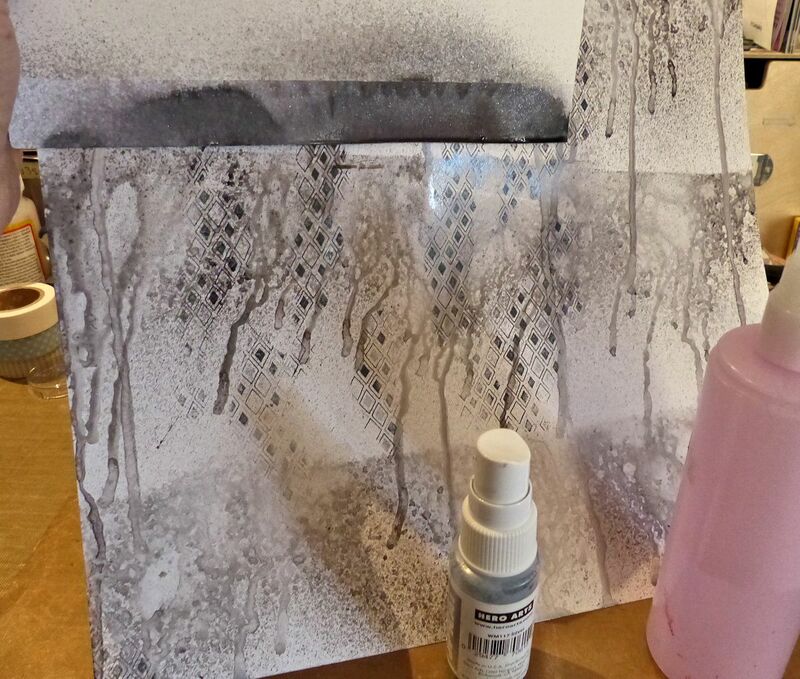 I stamped my cardstock with a newspaper stamp on my background with charcoal ink. It’s so light it’s hard to see! 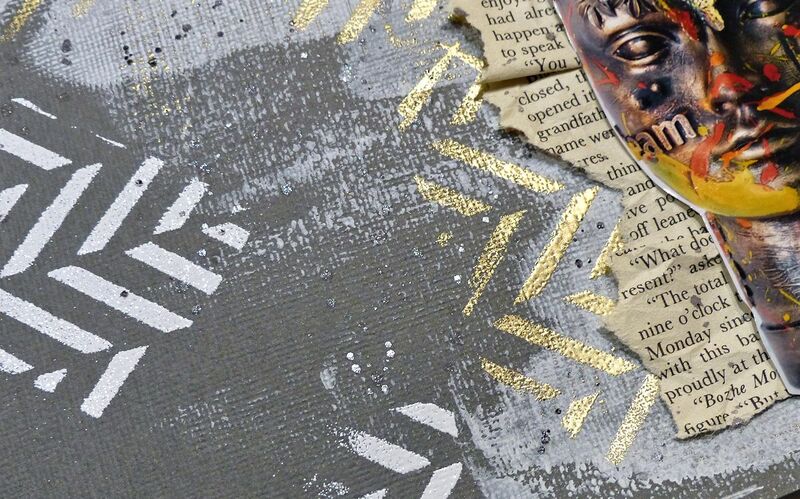 I used a stencil and embossing ink to create more dimension in my background. 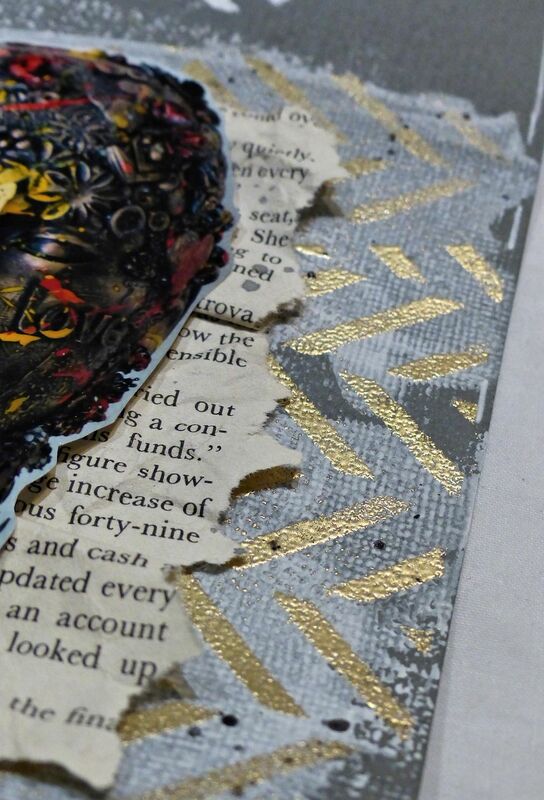 First I spread gold embossing power and then I heat set it. Then I made second round with white embossing power and heat set that as well. The effect is stunning! I love it! I love old books. I love using old papers and pages on my work, so I decided to add some to this page. I crumpled both pages and glued behind the heads with 3D stickers. I created a funny tittle for this page. I sprinkled a few random drops of ink on the page to give it a complete look. 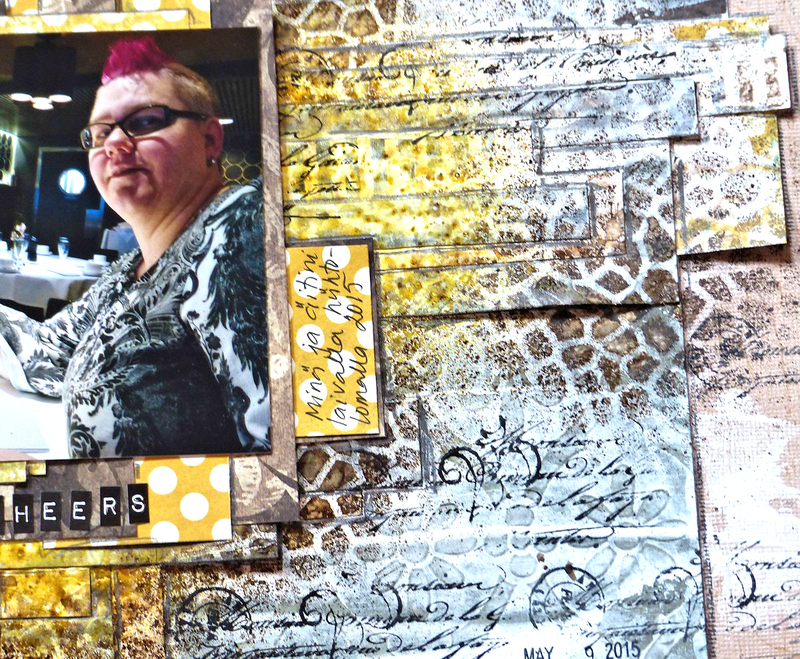 This is page is different, but it’s still a fun scrapbook layout. I totally love what I created!! I hope you love it too!! 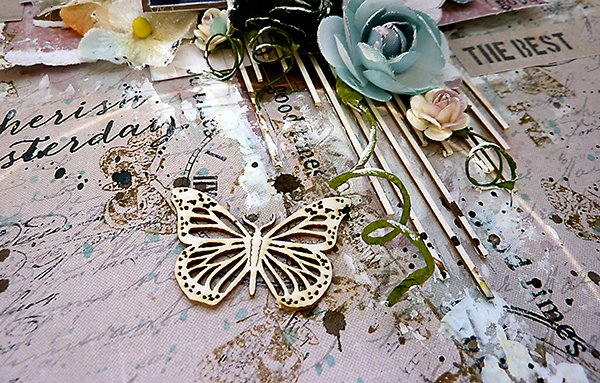 I also hope that it inspires you to create something different with some of the supplies you have at home. Most of the supplies I used can be found at the a2z Scrapbooking Store. If you would like to purchase any of the supplies I used please head on over to the store and use the coupon code TARU15 to get 15% off your purchase. 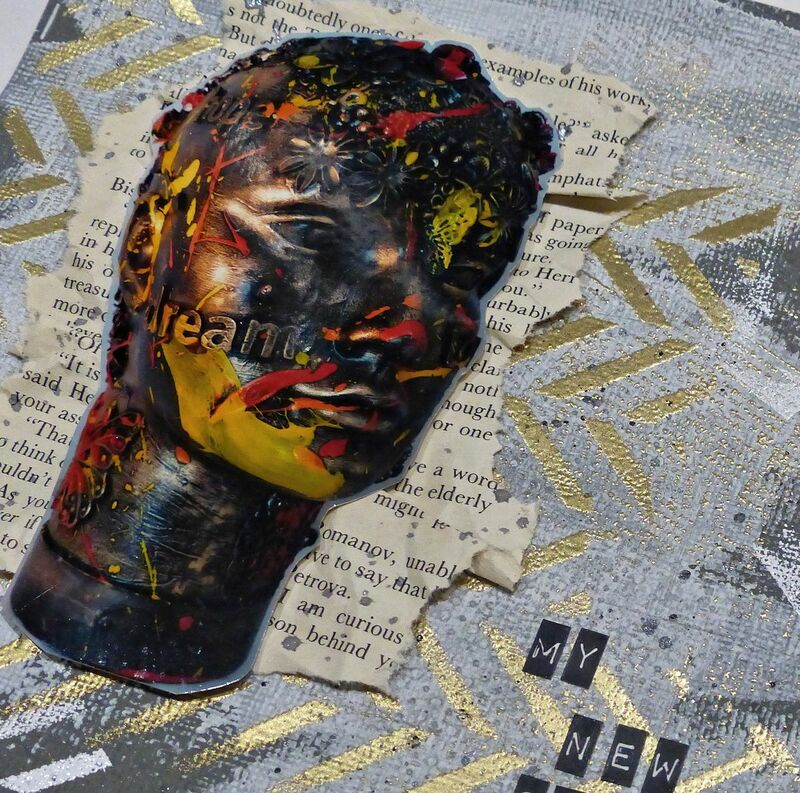 I hope my layout gives you some inspiration to participate in our New To You Challenge. It runs to the end of the month, which is in 2 days. One more thing before I go, did you know that we are on Twitter, Instagram and Facebook? If you haven’t done so already, please follow us on these different social media outlets!! You don’t want to miss out on any fun promotions!! 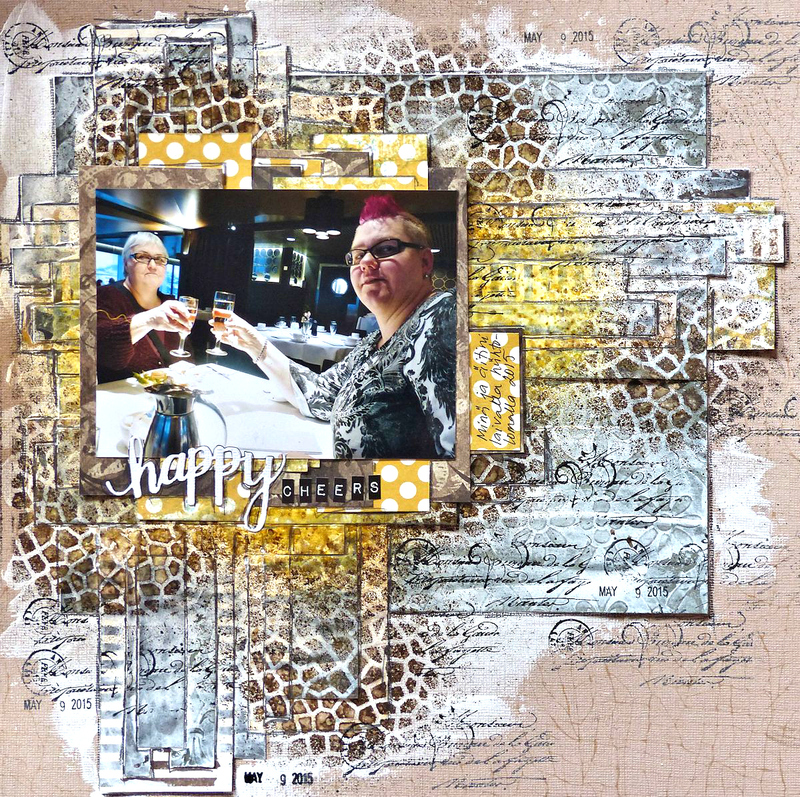 Categories: Challenges, Scrapbook Layouts | Tags: embossing, embossing powder, Layout, Mixed Media, newsprint stamp, old papers | Permalink.